Understanding the catalytic combustor is as important as understanding how to operate the stove. In other words, if the stove is operated correctly, than the catalytic combustor will operate correctly as well. Every catalytic stove purchased by the consumer comes with an operating manual explaining how to operate the appliance. It is very important that the consumer read this information before building the first fire in their new appliance. Every FIRECAT replacement catalytic combustor sold to the consumer by Applied Ceramics includes a brochure explaining everything they should know about the combustor. Applied Ceramics has a website with combustor information to help the consumer with any questions. Applied Ceramics also has a courteous staff of service personnel to help consumers with any catalytic combustor questions. 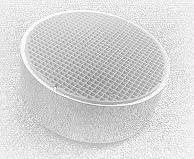 Applied Ceramics has a four segment video posted on this blog site’s home page, which contains information about catalytic combustors.